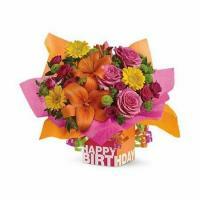 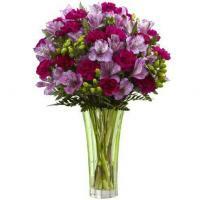 The pastel flowers bouquet is a charming display of exquisite elegance and beauty. 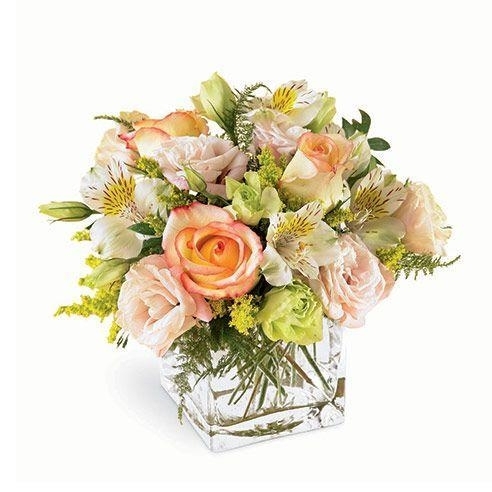 Ivory and pink roses, pale lisianthus, and white alstroemeria are wonderfully arranged to create a picture perfect arrangement that expresses your affection for the recipient. 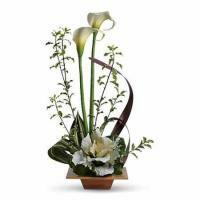 Whether you love pastels, or just desire a beautiful centerpiece, this gift will steal the show in any room it graces.